The best spots for watching egrets in California are said to be the central and northern wetlands. Here’s a Great Egret and Snowy Egret that like to fish together. View larger at EarthSky Community Photos. 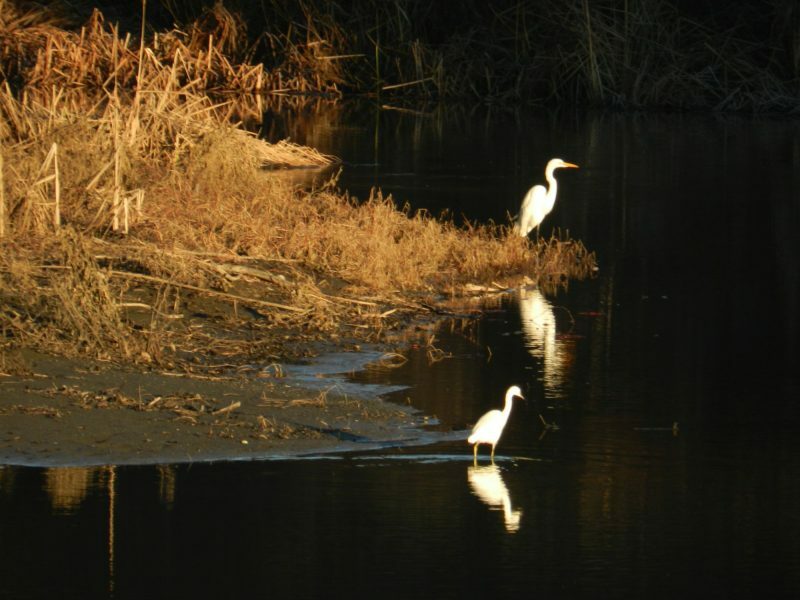 | This peaceful image is from Elizabeth Bettenhausen, who wrote: “The late afternoon sun in January on the central coast of California cooperates with the Great Egret and the Snowy Egret at dinnertime. These two search Santa Rosa Creek together quite often.” Thank you, Elizabeth!